Pet friendly college towns are a great weekend getaway for your whole family any time of the year. As a matter of fact, the phrase “pet friendly college towns” is a redundancy. It’s like saying “egotistical politician” or “greedy Wells Fargo.” You get the drift. That’s because ALL college towns are pet friendly. And, better still, you don’t need to have family members or friends in college as an excuse to visit. At Petswelcome, we like to think outside the box and utilize places for other than what they were intended for. We take great joy in corrupting their original purpose with our twisted world vision of turning everything into a dog party. In the past, we’ve recommended patronizing food trucks and beer gardens because they are a great way to dine out with your dog even though that is obviously is not their intended purpose. Or staying at Extended Stay hotels with your pet even if it’s just for a day or two because they offer many of the amenities pet owners need no matter the length of stay. Now that’s what we call in the trade SPO (Subversive Pet Opportunities). Are you seeing a pattern here? College towns are awesome because they have so much to offer, including a variety of both cheap restaurants (because students are poor) and nice ones (because their parents are not). They also have a laidback atmosphere, outdoor music (because young people like music and the outdoors), sporting events, art shows, great bookstores, coffee shops, bars, beautiful campuses with quads to hang out in, readings, and so much more. Oh, and did I mention a LOT of really smart, creative and interesting people live in college towns? ‘Nuf said. Then of course, there are the dogs. And cats. And birds. And ferrets. And every other type of pet because most young people (am I sounding old?) love animals of all types. The great thing about college towns is that you will only get a double-take if you don’t have an animal with you (or you’re wearing a leisure suit). So, pack your bags and be prepared to be enlightened. Home to Brown University and the Rhode Island School of Design (RISD), Providence is a beautiful city with plenty of pet friendly venues including the Bell Street Dog Park, Waterman Street Dog Park, as well as great eateries like Constantino’s Venda Bar & Ristorante and Nick-a-Nees, a must-visit dive bar. Brown University also is a leader in dog research, including a program that designs robotic dogs to help older adults—especially those suffering from dementia—accomplish basic tasks like taking their medications. There is also one that studies dog sneezing. Really. Pet-friendly lodging is available at The Hotel Providence, the Omni Providence Hotel and the Providence Marriott Downtown. 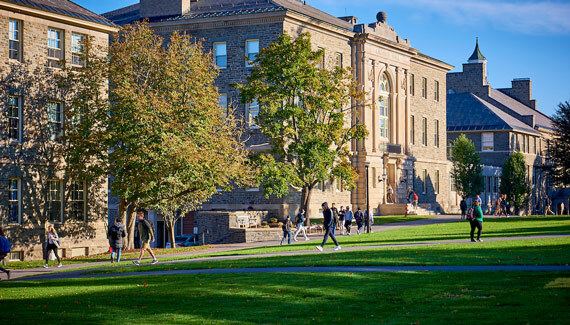 Colgate University, which is located in Hamilton, has a beautiful 575- acre campus that is a great place to stroll with your favorite animal. If you happen to be a student there—and a pet lover—you can join Colgate is Pet Pals and volunteer at the Wanderer’s Rest Humane Society and the Spring Farm Cares Animal & Nature Society to help less fortunate animals get the love, care and attention they so richly deserve. Off campus, Hamilton has a lovely village green as well as great pet-friendly places to eat and imbibe your favorite aperitifs. The Inn at Colgate has a front patio that welcomes pets, as does the Good Nature Farm Brewery & Tap Room which sources ingredients for all its beers from New York State famers. It has a beer garden and a great selection of food, including Smash Burgers, Sammiches and Woodfired Pizza. In addition to the Inn at Colgate, you can find pet-friendly hotels in nearby Canastota at the Days Inn Canasota/Syracuseand the Super 8 by Wyndham Oneida Verona. 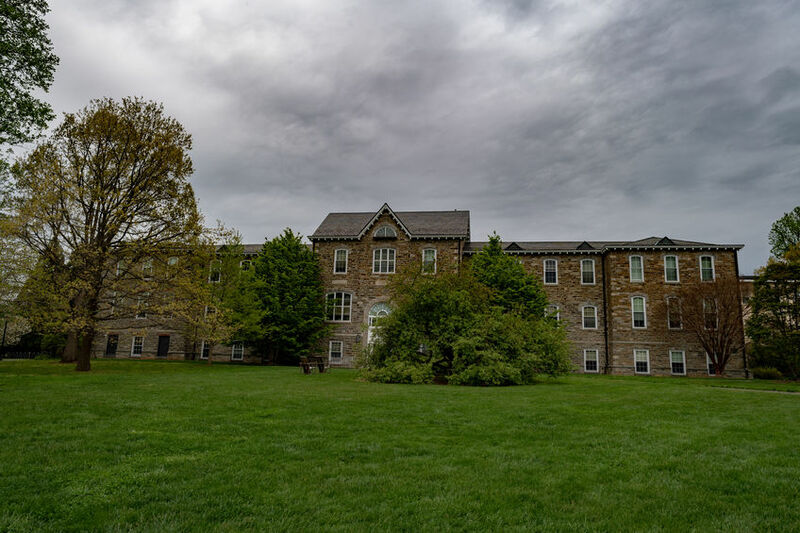 Swarthmore is home to, you guessed it, Swarthmore College which was founded in 1864 and is one of the oldest co-ed colleges in the country. The Scott Arboretum of Swarthmore College is a must-see destination where you and your pooch can ramble over 350 acres that contain more than 4,000 plant varieties. And, once you’ve built up a healthy appetite (and thirst), you can hit the pet-friendly Ariano Restaurant & Bar in Media, PA, as well as Pinnochio’s Restaurant & Beer Garden to Go that has thousands of beers from over 200 breweries. Pet friendly lodging can be found in nearby Essington, PA, at the La Quinta Inn & Suites or the Wyndham Garden Philadelphia Airport, among others. 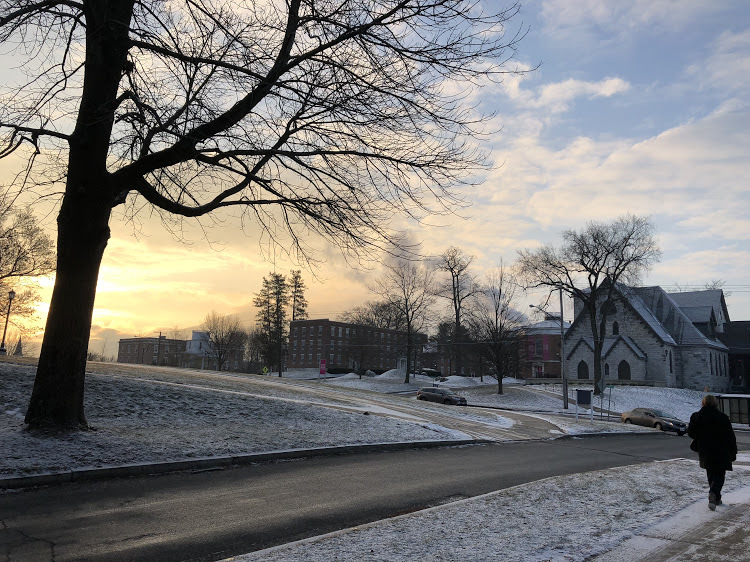 Located in the beautiful Berkshire Mountains, Williams College was founded in 1755. 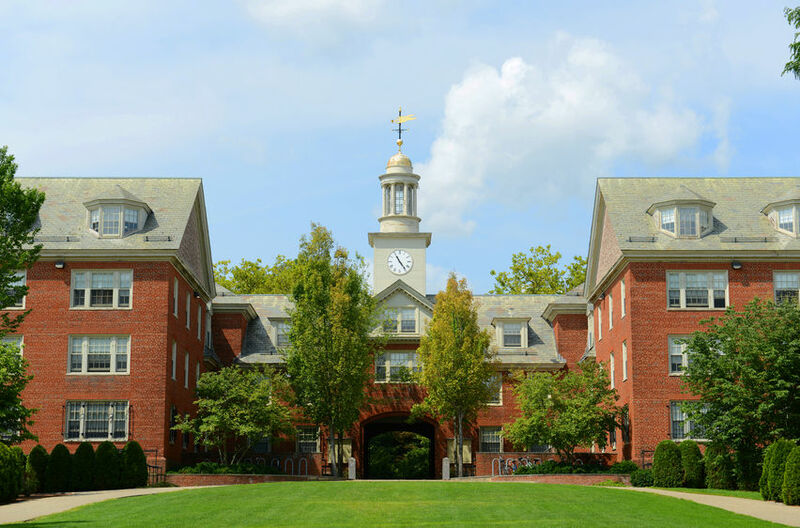 It boasts a beautiful 450-acre campus whose design is the work of the Olmstead brothers. Their father, Frederick Law Olmstead, was the great American landscape architect who designed the grounds of the US Capitol as well as Central Park in New York City, and the Williams campus reflects such a distinguished lineage. Great hiking can be had in the many pet-friendly trails that run in and around Williams, including the Berlin Road Trail System that features a great variety of flora and fauna as well as interpretive signs along the trail. When it comes to pet- friendly eating and drinking, you can stop by the pet-friendly patio at The ‘6 House Pub or the Purple Pub which also has a pet-friendly patio and offers great pub fare such as Extreme Pub Nachos or the Sister Havana Cuban Sandwich. Choices for pet-friendly lodgings include the Clover Hill Farm, a beautiful country inn, as well the Williamstown Motel and the Green Valley Motel. 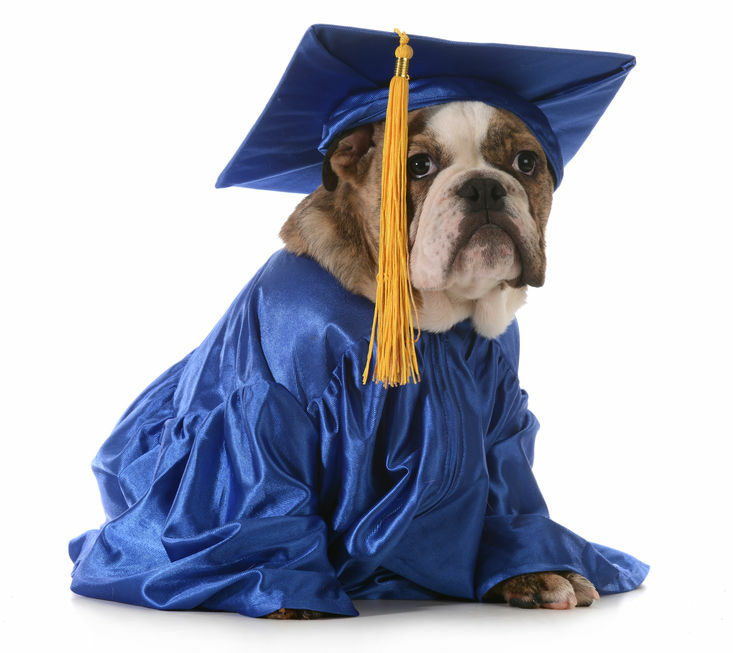 To find more intelligent suggestions of great places to visit, be sure to check out Petswelcome’s list of the Top 25 Pet Friendly College Towns in the US.